Naked sheep and a clean-shaven Don! Last week the sheep shearers visited Landmeterskop. Now our herd of pregnant ladies are running around somewhat naked! Even Don Carlos had to pay a visit to the barber, and lost a lot of fleece, but none of his dignity! And, no, if you have wondered, we have not converted to a nudist-farm! It was time for our sheep to get a haircut! Yes, cutting or shaving the wool off of a sheep (shearing) is very much like getting a haircut! However, shearing requires skill so that the sheep is shorn efficiently and quickly without causing cuts or injury to the sheep or shearer. 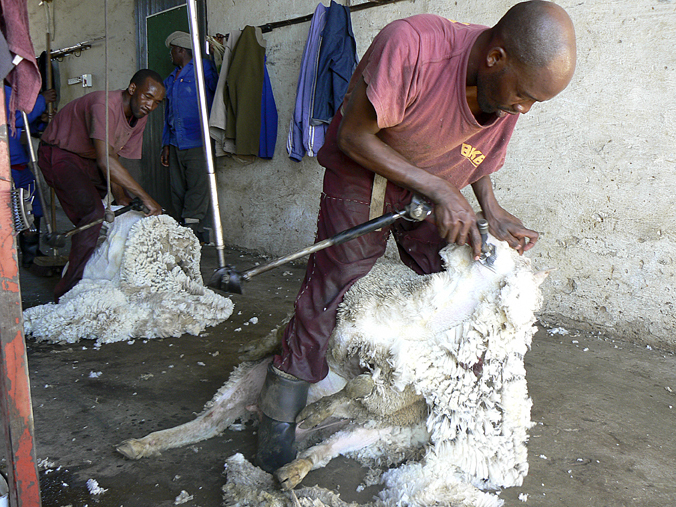 These days most sheep are sheared with electric shears or shearing machines by professional teams of shearers and wool handlers going from farm to farm. There are however still farmers who prefer to do the job themselves and even use old-fashioned sheep shears. Sheep shearing always feels like the start of a new year. Maybe because it happens in spring or maybe because we know lambing is coming up next! It is also a bit of an anxious time. Especially with the extreme weather patterns these days. Not only is sheep without her fleece pretty naked looking, and going from a full thick winter wool coat to almost no coat is a bit of stress anyway. Sheep cannot be left to go without shearing. The wool continually grows and will become heavy, soiled and unhealthy if not sheared. 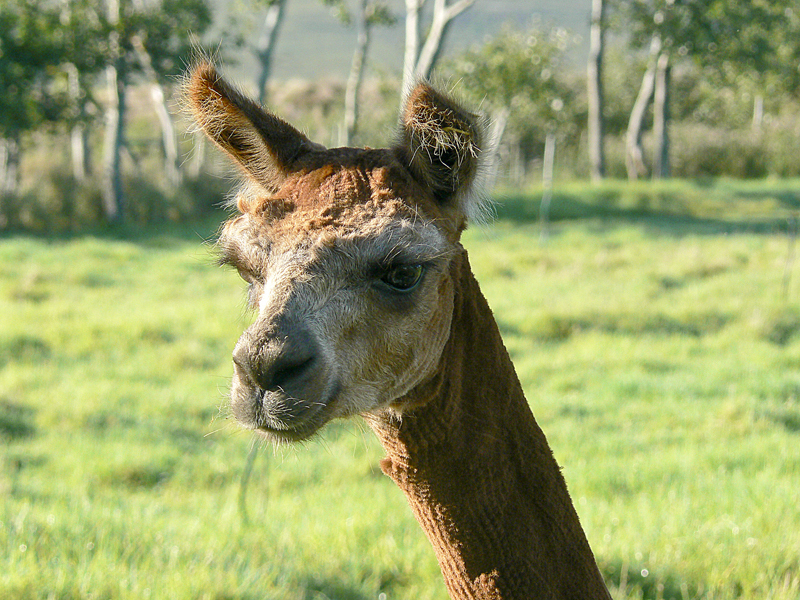 The amount of wool clip that comes off an animal and its quality depends on the breed and care of the animal. On average a wool clip from one of our sheep will be around 4kg.